[8 mins. 15 secs.] Jessie Auritt calls in to the show to discuss her new documentary, "Supergirl", about a 9-year old Orthodox Jewish powerlifter, which is having two screenings at Slamdance, one on Saturday, January 21st, 10:30 AM & a second on Tuesday, January 24th, 9:30 pm. Check the Slamdance website for tickets and more details. Just after that [20 mins. 15 secs.] 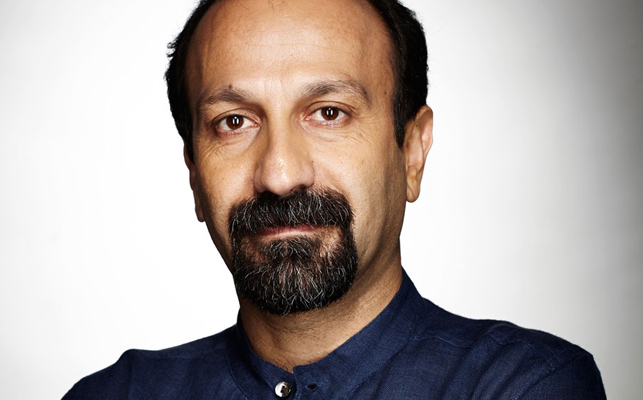 Iranian filmmaker Asghar Farhadi ("The Past", "A Separation") stops by to discuss his latest film called "The Salesman". The film, which is being distributed by Amazon Studios & the Cohen Media Group, and will have its theatrical engagement in New York City and Los Angeles beginning Friday, January 27th, then will roll out to more cities in the coming weeks. The film is about an Iranian couple who must contend with a violent disruption in their lives. The film is also Iran's official Oscar entry in the foreign language category. Last up, [46 mins. 20 secs.] Michael Rossato-Bennett ("Alive Inside") returns to the podcast with a plea for help with his Kickstarter campaign. Michael's new project is called "Brian's Songs" and is about his best friend who secretly wrote 300 songs just before being struck by ALS. Since Brian's physical self is fading, his best friends have come to together to make an album of his hidden songs and document the process.